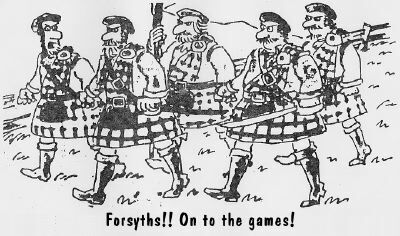 AS of February 2008, I have been informed that all current Forsyth materials have been depleated and will not be replaced until we get enough orders to make that possible. Keep checking with the Scottish Weaver as this supply may again be in stock. National Tartan Day - April 6th! Each year by act of Congress this date is set aside as such. Show your Scottish pride by wearing your Clan Tartan, Kilt, Scottish attire, etc. Our Declaration of Independence for the United States was fashioned after the Declaration of Independence for Scotland of 1320. Many signers of our USA Declaration of Independence were Scottish or of Scottish descent. You can send e-mail or sign our guest book at any time during your visit by clicking either the mailbox or book icon on the left. This WebSite is redesigned by Triple x. According to you are visitor # to this page! 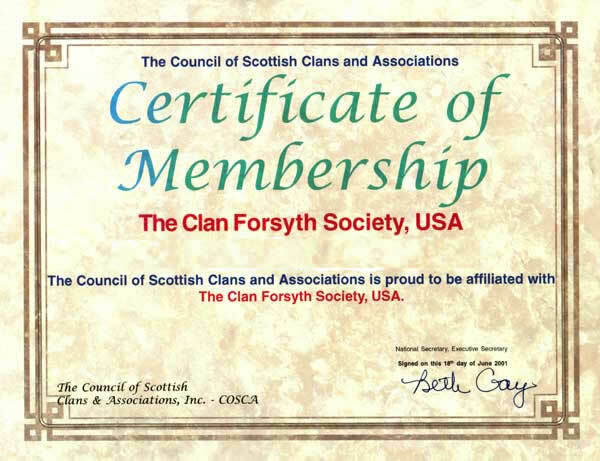 © Copyright 2003 Clan Forsyth Society U.S.A. All rights reserved.